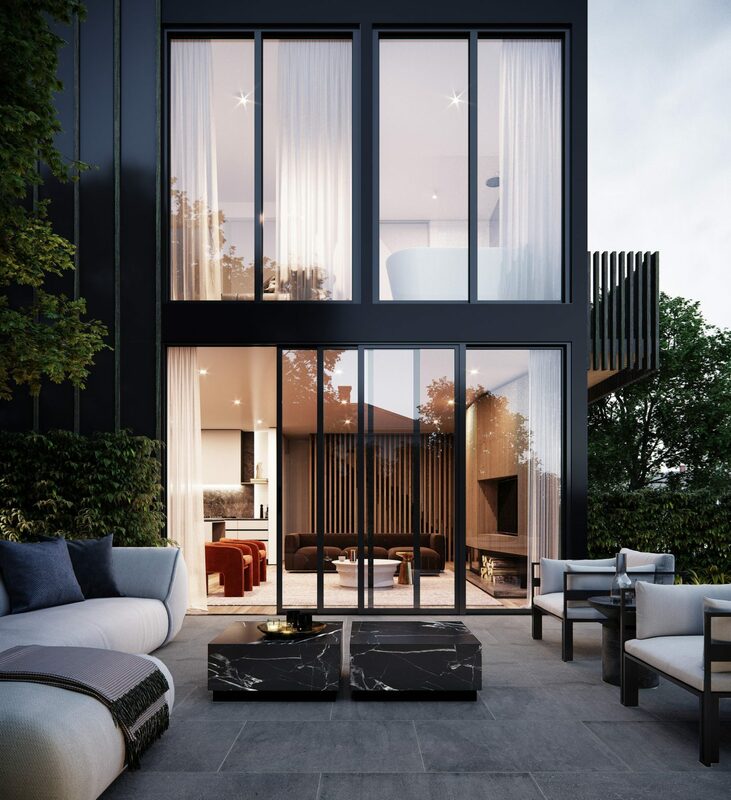 The design for 2 Newman Avenue seeks to create the spatial amenity of a single family house with the convenience and lower maintenance of a townhouse. 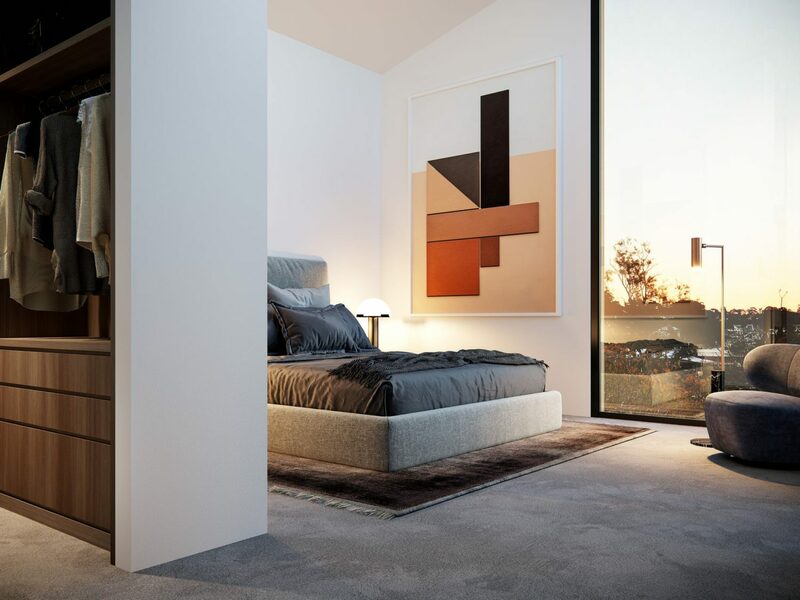 The Newman is a collection of five townhouses that are suitable for families, a demographic all too often overlooked in medium density development. The dwellings are quite large internally and feature large ground floor north facing gardens that are much larger than normally found in this typology of development. 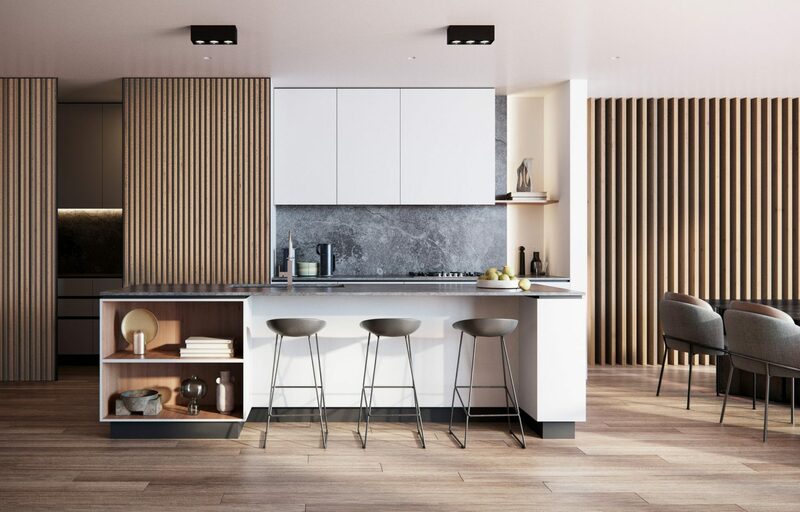 Two car lock up garages also offer residents additional flexibility as some choose to adapt their garage for a home gym or office or playspace. 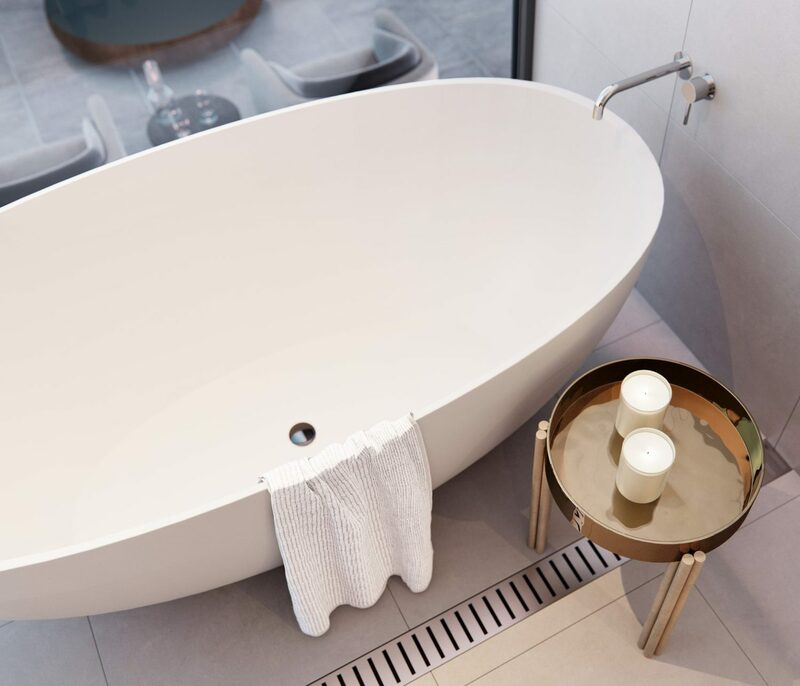 The architectural language is modern but warm. 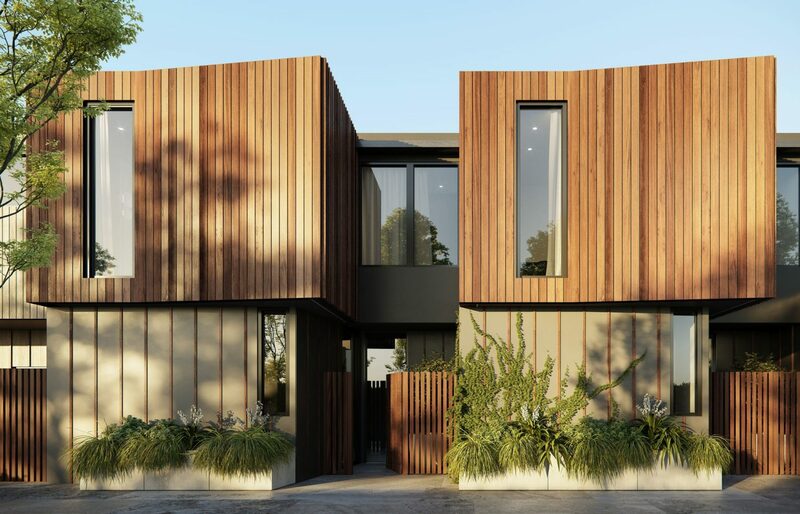 Timber details throughout both the exterior and interior help soften the spaces and create a sense of home. 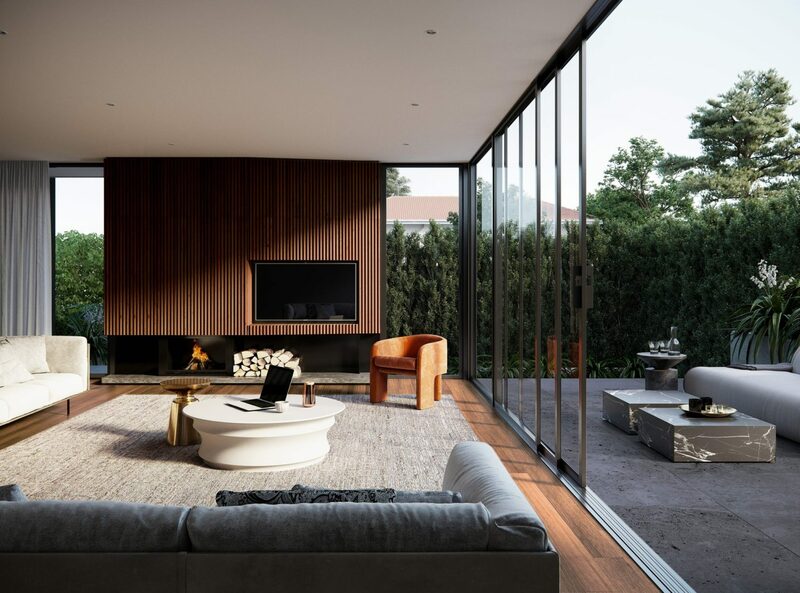 Spotted gum, the species of timber largely used, is an Australian hardwood lending an authenticity of place to the development. 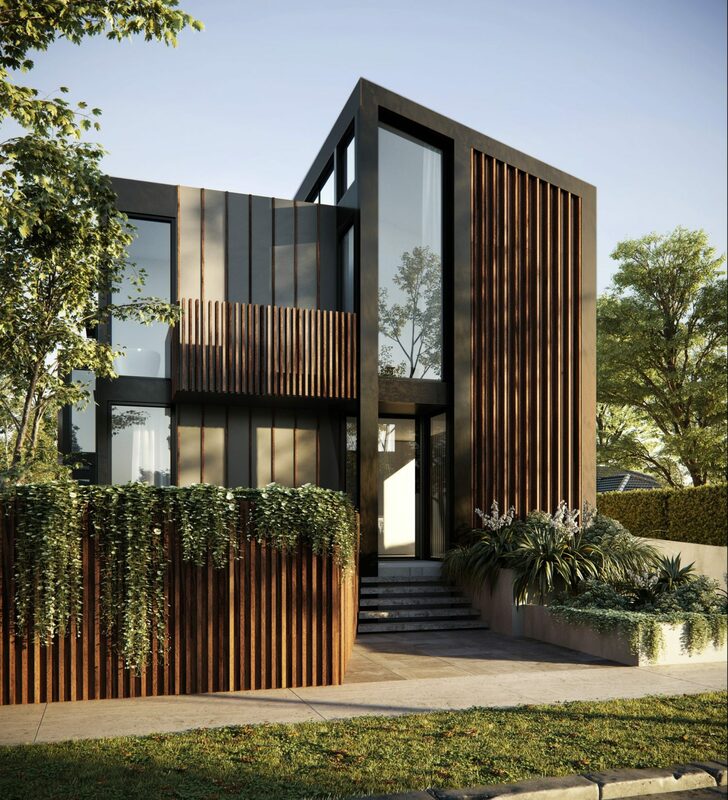 Each house has a clear sense of entry and identity through the provision a street facing entry to TH1 and forecourts accessed via a landscaped pedestrian entry to TH’s 2-5. 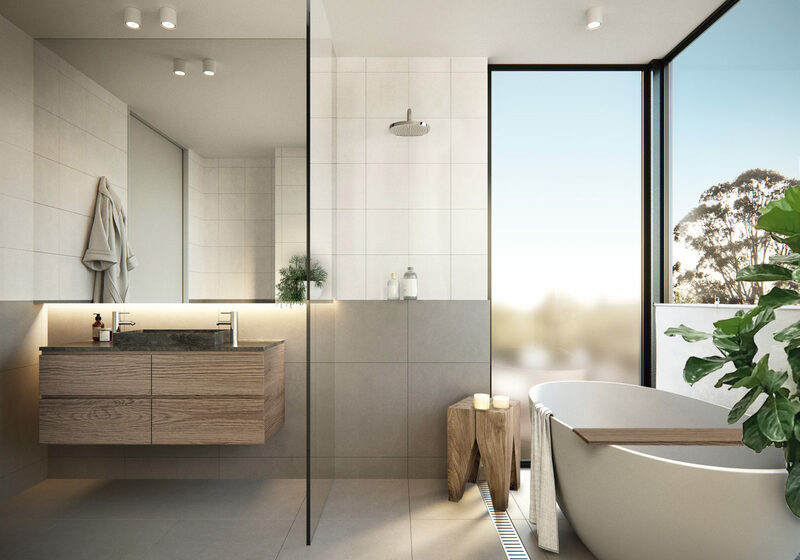 Each townhouse has optimal solar orientation and large clerestory windows and raked ceilings further enhance the light filled lifestyle on offer at 2 Newman.